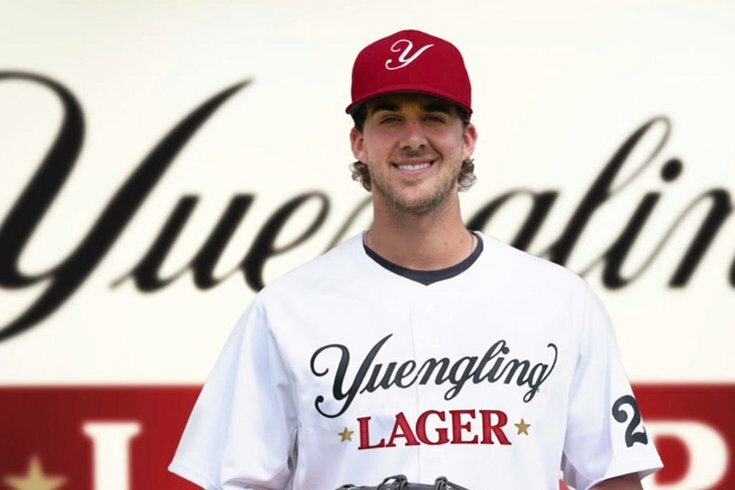 Under his partnership with Yuengling, Phillies pitcher Aaron Nola's will make personal appearances and promotions on behalf of the Pennsylvania brewery, including the chance to win a Yuengling home vending machine. Aaron Nola will be the newest brand ambassador for D.G. Yuengling & Son, Inc, the company announced on Monday. Nola talks of his excitement to be with the family-owned business, noting, "Yuengling holds a special spot in my heart." He adds, "I had my first Yuengling Lager after being drafted by Philadelphia and I haven't looked back. The fact that America's Oldest Brewery is family owned and operated is important to me as I value family over everything." D.G. Yuengling & Son brewery is located in Pottsville, with a second brewery in Tampa. In business since 1829, the brand is available in 22 states and was named the top-selling craft brewery by The Brewers Association five years in a row. Yuengling has partnerships with the Philadelphia Phillies, Philadelphia Flyers, and Philadelphia Wings.